Hotel Zarina has 25 rooms in total. Out of them: 1 is single; 1 with 3 beds; 4 double furnished with double beds; 19 double furnished with 2 single beds. Rooms are equipped with:satellite TV; air conditioning;internet;telephone;bath or shower; room service. Facilities of the hotel include: bar; restaurant; laundry; conference hall. There are copy machine and fax. 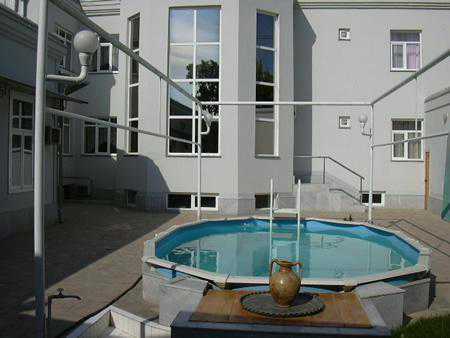 The hotel is situated in a walking distance from famous Registan Square. The square is one of the greatest architectural monuments in Central Asia. Impression from the Registan Square changes with the change of the weather and time of the day. That’s why staying in Zarina Hotel allows enjoying this great monument in different lights.Moreover, not far from the hotel are situated other famous constructions: Aksaray, Gur-Emir, and Rukhobod.